Paradox's gloriously byzantine historical games wouldn't seem to lend themselves to piecemeal demos, but the company's just released one for their forthcoming World War II grand strategy game Hearts of Iron III anyway. Hearts of Iron would be Paradox's slightly poetic name for a series that launched seven years ago in 2002. That first version, writ across a 2D map resembling a spartanly decorated slate gray board, was derived in part from lead programmer Johan Andersson's work translating French designer Philippe Thibault's board game Europa Universalis into computerized format. Europa Universalis, the world's first real-time grand strategy game spanning the late fifteenth to late eighteenth centuries, was a surprise hit with history buffs, leading to a series of games that today range from Rome to the Middle Ages to the Victorian period on through to World War II. With rare exception--Two Thrones and Victoria stand out as the sore thumbs--they've been celebrated by fans and critics alike. The problem is getting the critics to play them. Most of the ones reviewing games today are either unequipped to grapple with their staggering scope, or simply more interested in following stuff with practically vertical hand-eye coordination curves (and horizontal intellectual ones). Digging into a Paradox game and honestly getting a sense of what's happening under the hood can take dozens of hours, literally. It's the yin-yang of loading your game to the hilt with detail. They pay out in triplicate for time invested, but it's time you'll spend studying and scrutinizing and sketching out flowcharts to keep track of all the reciprocating political-economic formulae. Not that there's anything wrong with the latter if, like me, that's precisely what you love about this stuff. 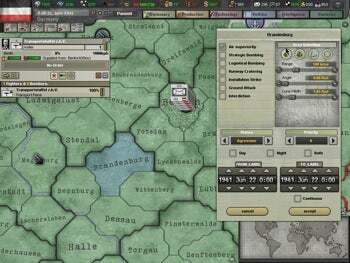 Hearts of Iron III constitutes a total overhaul of every system--an attempt by Paradox to synthesize the best parts of the first and second games. Like Europa Universalis III, it's been transfigured both functionally and visually. I can't say I find the 3D look to be any more attractive than the 2D original, but according to lead programmer Andersson, offloading map rendering to the GPU freed up CPU cycles for the AI. I can't swear on its behalf yet, since I'm as fresh to this iteration as anyone else, but that's one of the major lures this time: A vastly improved AI capable of remembering and weighing various strategic possibilities as circumstances change. 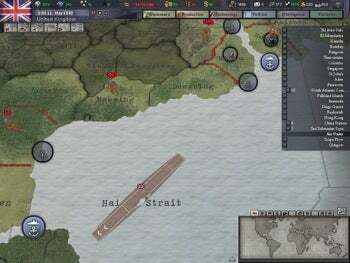 The playable demo includes the full game's tutorial, as well as the single player campaign of 1939, allowing you to play as Germany, France, Poland, or the UK for the first four months of World War II. You can grab it by visiting the company's official downloads page. The full game should be in North American stores or available for download at "all major digital download portals" on August 7th, followed in the UK and Scandinavia on August 14th, and France and Germany on August 28th.